For over 40 years, Phelan Electromec™ has maintained value added service as its guiding business principal. Our wide selection of competitively priced products allows us to meet the diverse needs of the industrial and commercial market. We strive to improve our industry reach and continue to provide superior service for our customers. We invite you to contact our sales team to help you find the right solution for your electro-mechanical needs. We carry our own brand of AC and DC motors, Electromec™, and we are also a major distributor of TECO-Westinghouse, Baldor, Marathon and more. 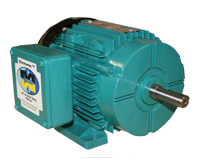 We have all your Electric Motor parts and accessories available, from flanges to slide bases. Phelan Electromec is a leader in the supply of right angle, cast iron and aluminum gear reducers and coaxial gearboxes for industry. Go to our products section to see more. We carry LENZE AC Tech, KB Electronics and Teco-Westinghouse AC drives. Check our product listings for more details. We carry KB Electronics DC drives. Check our product listings for more details. We carry Raas Push Buttons, Selector Switches, Indicators and other control and signalling devices. TC contactors. Finder automation products and Connectech terminals and accessories. 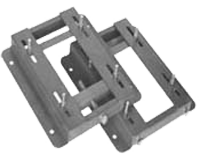 We carry CG foot switches and Load Break Switches. 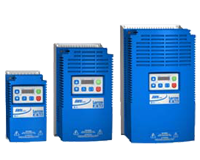 We carry C&S motor starters in plastic or metal enclosures with multiple options and configurations depending on your applications’s needs. Located just north of Toronto in Bolton, Ontario, Phelan Electromec has been serving customers in North America since 1976. Phelan Electromec™ Tel. (905)857-2720 or (800)692-6490 Fax (905)857-5964 email: sales@phelanmotors.com 55 Healy Road Bolton, Ontario, Canada L7E 5A2. Website design by DiGiness web agency inc.